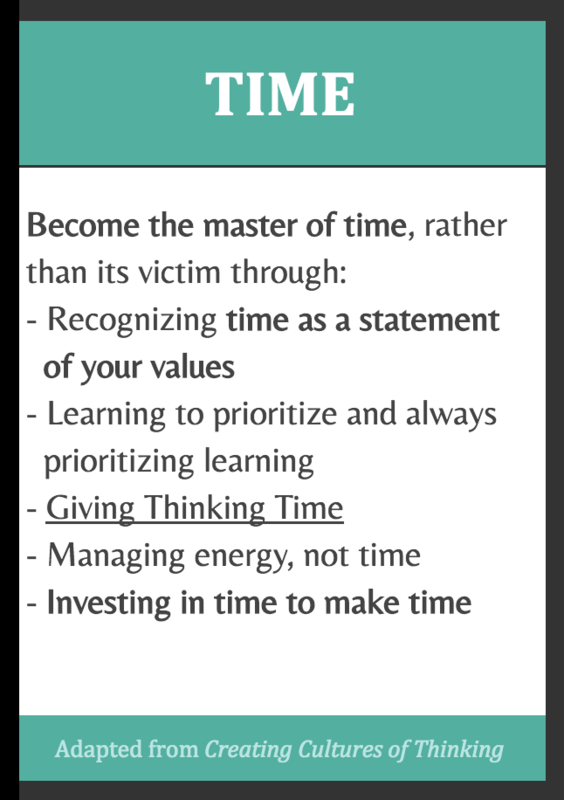 Make time for students' questions and contributions. Provide "space" for students to extend, elaborate, or develop the ideas of others. Avoid disseminating the abundance of ideas without the time to process them. 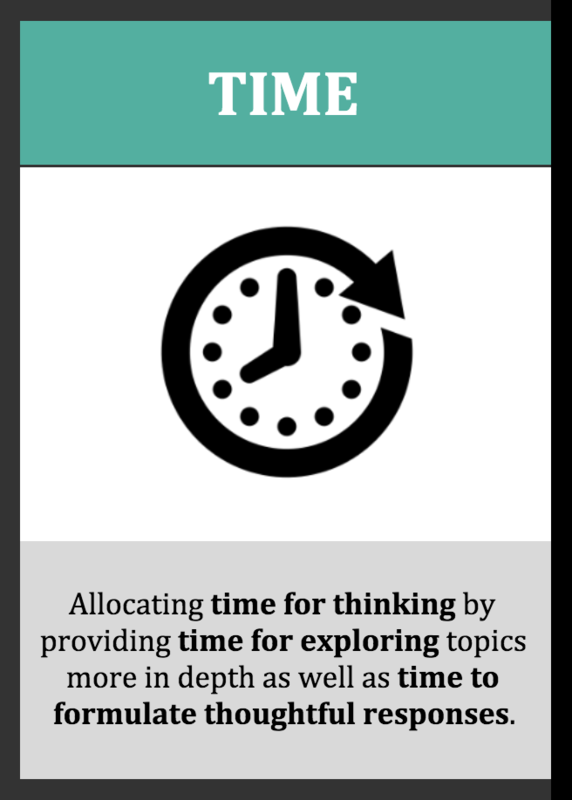 Give students time to think and develop ideas before asking for contributions. Monitor the amount of time you talk so as not to dominate the classroom conversation.